One of the best tools you can use is Facebook. It gets likelier every day that you already have a Facebook account; there are over a billion users, but most don't take full advantage of the features that allow people or organizations to market themselves. If you have a Facebook page, please ensure that it is included in your Profile, there is a box provided for this link, please include the http://. This will then link to your author page on our website and readers will be able to link to your Facebook page from there. (You can also add your website, blog, RSS Feed and Twitter handle, which will all feed through to your author page on the website. There is more on how to do this in the Updating Your User Profile video). We have Facebook pages for the majority of our imprints. All are at different stages of development. If you are active on Facebook, please have a look at our Reader Networks, like and connect with the one that matches your imprint/cluster of imprints. We also have closed Facebook groups specifically for authors to share their news. Choose the group applicable to you, use the link and ask to join the group. Your publicist will link to you and your Facebook page when working on your book. By sharing one of our posts that concerns your book or another that is of interest to you, then this helps widen the possible audience. Facebook algorithms dictate how many people see your updates. There are few things that you can do to increase the number of people that see a post. Copy and paste a link into a Facebook status update, and Facebook automatically generates a link preview. So if you have an article or interview online, use the URL (website address for the page where the item is). Once the link is previewed below your status update, you can delete the link in the status and replace it with your own text. Use the @ sign to link to named sources on your text, we do this for author names that then ensures that our status about their book will appear automatically on their feed. Visual posts get more views (a lot more views) than text posts or linked articles. So publicists produce Memes for books we are working on. (see the section on Memes, with examples here). We upload these memes to ‘articles’ on the Marketing Page. You can use them how you see fit. They can also be used on Twitter. See here for more information on Twitter. The single most important part of marketing yourself on Facebook is maintaining your author page (also known as a fan page). Your author page is a public part of Facebook on which you can talk to your readers, post updates, make big announcements and upload videos of your readings. Click on www.facebook.com/pages/create/ to see the area on Facebook with the various options you can choose when making an author page. Most likely you'll want to choose the "Artist, Band or Public Figure" option, and then "Writer"—but if you are best known as a chef and your book is a recipe book, choosing "Chef" might not be a bad idea. Try to pick the option that best captures what you want to be known for in the long term. It will take time to build an audience on your author page. You may want to invite your friends and family to "like" your page on Facebook—which is, essentially, how they can sign up for future updates. All of our publishing divisions have their own Facebook fan page; liking your publisher’s page is another way to build two-way traffic and benefit from our community traffic. We have invested much in growing our own publishing fan pages to give our authors another platform for showcasing new releases. Daily use of Facebook's page function is not for everyone, but you should build a habit of logging on and updating your page at least three times a week. If you don't have anything to say for stretches of time, or you are just working on other things, you can share a quote you find inspiring, comment on something that's happening in your field of expertise, or upload a picture. It doesn't need to be a long and boring process—the best Facebook updates are usually short and to the point. Have a clear target audience: 20 somethings, YA, sci-fi, MBS, pagan, fans of fantasy and so forth, to build your reputation in your own subject/knowledge area. Do not put up dozens of updates in one go—they will reach fewer and fewer of your fans. Seek out other Pages in your interest area and "like" them, and if you can engage in non-promotional, relevant and meaningful interaction on their Pages, you will build credibility. There are LOADS of Facebook groups out there for promoting books. Thing is, you have to join them as a person using your Facebook profile. This means we, as JHP, cannot "join" these groups acting as the JHP fiction or MBS group, or acting as a Page. You, the individual would have to join these groups. Bear in mind if you do, you need to interact and share others' posts too, otherwise you will look tirelessly spammy. Still, with the 1000s of eyeballs in these groups, it is worth the effort. CAVEAT! A large group is no indication of quality of group. Do your research. A busy group may mean your post is soon swamped. Smaller groups offer more chance to forge more "real" relationships and get into discussions. You must respect the group and give back as much as you take. You cannot go in and self-promote and then swan off again. You will need to get involved in "sharing" and "liking" other authors' books. It is not a competition, and together we can all rise. If you are a "real" person, talking with others, offering feedback, helping out, then people will remember you and will be more likely to help you when you come to promote something. You may wish to boost and promote your Page or certain posts. It is worth ensuring you have plenty of quality content (as described above) before advertising your Page, so that when people visit it, there is enough featured to tempt them to stay. You can boost a post or promote a page. Facebook allows you to select a targeted audience, choosing demographics, interests, you can even choose people who "like" a similar author. You can promote on a limited budget, currently starting at £1/$1 per day. You may wish to share admin roles with others, so they may post on your behalf. You will be able to see who posts what, but the general public cannot; it will all appear as your Page. Ensure that your other admins are aware of Facebook’s visibility issues, and consider a schedule, so that you don’t end up with 10 posts on one day which smothers the most important post you were planning to make. There are various applications that will make simultaneous or timed and scheduled posts to all your social-media streams. It can be tempting to push Twitter feeds automatically to Facebook and vice versa but the point of both platforms is SOCIAL—interactivity—and you can’t do that by just shouting about your own stuff. Simply copying “buy my book” from Facebook to Twitter and back won’t do much, and it’s recommended to concentrate on just one platform to get the best from it. As you might expect with a range of imprints focusing upon different books and markets and utilising different publicity strategies, the extent to which Facebook is used is a judgment call between Publisher and Publicist. What follows is an example of how one of our imprints, Moon Books, made effective use of Facebook throughout the entire lifecycle of a book. From its inception Moon Books has pursued a policy of developing a reader / writer community with Facebook at the centre. Naming the Goddess was a product of this policy. 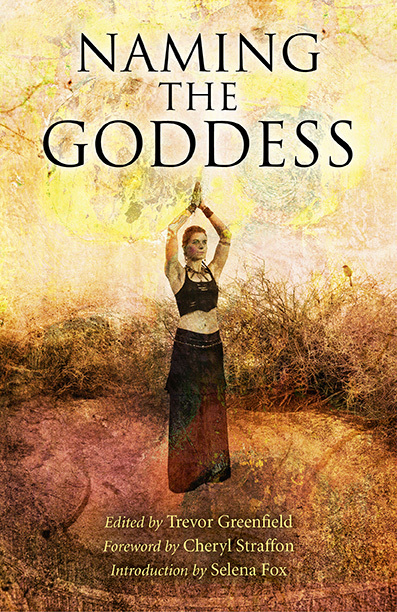 For the second part of the book the Publisher invited Facebook followers to contribute to a gazetteer of Goddesses. There was an enthusiastic response and the book ended up with eighty-five contributors. During the writing phase of the project, Facebook was used not only as a vehicle to attract contributors, the whole process ran through a dedicated Facebook group set-up to accommodate the project and articles were transmitted via Facebook messaging. Finally, the book has been promoted heavily using Facebook. When the book was released, for example, we ran the ebook at a special offer price and advertised this solely using Facebook. Facebook remains a central element of Moon Books’ Social Media strategy, using closed groups to support, authors, casual writers and ebook readers. Other imprints have used Facebook in other creative ways to engage readers and promote their titles, insuring its continuing growth across all our publishing areas.